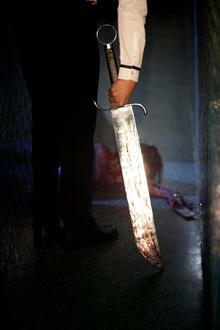 Synopsis The short film, Sin World, is a story based on a terrifying true event in Hong Kong. A common adolescent decided to save his mother and sister, by killing them. Surprisingly, the murderer was unexpectedly calm with no regrets, and claimed that the world has too many sinners. Similar cases have happened all around the world. Lee Siu-lung, director of a production house, mainly responsible for the TV commercials, branding images, TV dramas and programs directing and post-production work. Clients are from international brand, including Swarovski、Nike、Disneyland、Prudential、Citibank、Sotheby’s、Moet & Chandon Champagne、Ultima II、Smartone etc. 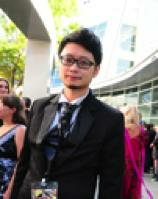 In 2010, he produced the first Fashion True-man Show, Fashion World Talents Award, in Hong Kong. At the same year, he directed 11 image videos for the anchors of Cable Entertainment News program. His TV commercial projects include Wilson Communications – The Master of Wilson series, Ultima II and Chartis etc. The recent projects in 2012 are China, Japan and Korea co-drama Strangers 6post-production, CEPA and Green Burial promos for Hong Kong government and 2013 season TV dramas for CTI. In 2011, the short film Sin World has been gratefully selected in the international film festivals like Hollywood HollyShorts Film Festival, Court Metrage Festival De Cannes Palme d’or Short Filmand Puerto Rico Horror Film Festival. In the 48 Hours Film Project 2010, his film SHOOT was selected as one of Best of Asia and got Audience Award, Best Cinematography and Best Editing Award. "It's been a nice experience promoting my short film in an international film festival. Thanks to the Hong Kong Arts Centre for organizing this scheme which provides funding and full support for me to present my production to audience overseas. I have extended my network enormously in the field after meeting film distributors and movie makers at the occasion. The workshops hosted by the festival organizer also enhanced my knowledge in shooting as well as in the process of thinking for filmmaking. " — Shared by the director Lee Siu-lung and the cinematographer Woods Li of Sin World, after attending the HollyShorts Film Festival 2011 and Puerto Rico Horror Film Fest 2011 in Puerto Rico, under the sponsorship of NAE.